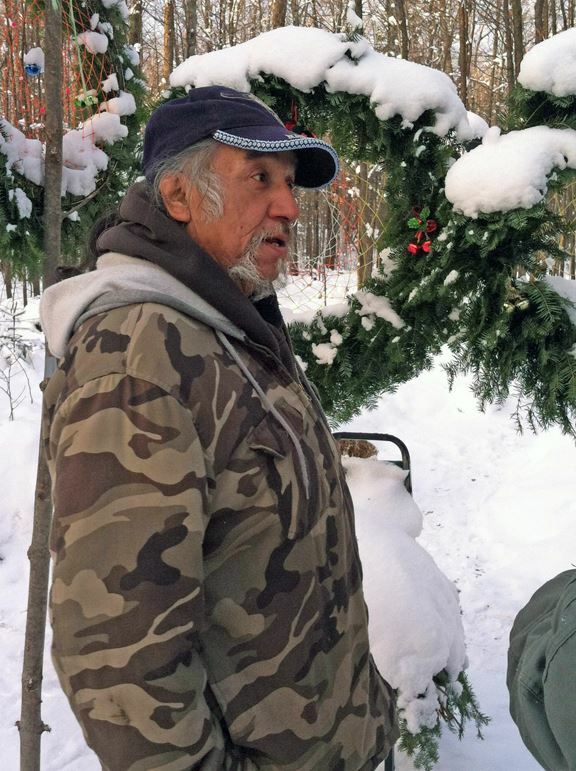 On May 8, 2013 the Iron County Forestry department granted LCO HELP host Melvin Gasper a Native American Gathering permit to gather plant materials and tap trees for syrup, and a firewood permit to collect down trees on Iron County forest lands. Both permits are valid through December 31, 2013. Photo: Ros Nelson. 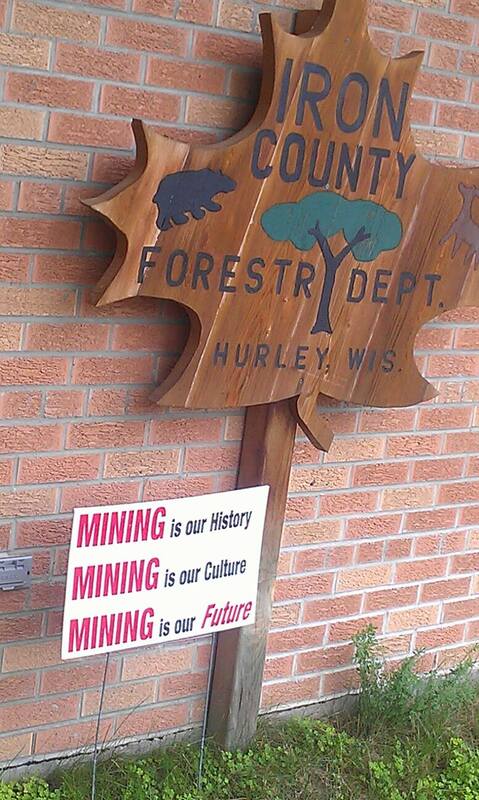 On December 9, 2013, the Iron County Forestry Committee voted unanimously to recommend that Lac Courte Oreilles Harvest Education Learning Project (HELP) be evicted from the county land they have working on since last spring. The issue will be taken up at the next Iron County Board meeting, Tuesday, December 17, at 6 PM at the Iron County Courthouse. The tribe and the county have been working together since May on drafting a permit to support HELP. LCO planned to present the next draft of their Scientific Investigation Permit to the Forestry Committee for discussion. What they found on Monday, however, was that the committee voted unanimously to evict them before they arrived, four minutes late. Back in May, the Forestry Committee voted unanimously to work with LCO to draft a land use permit for LCO members and their guests to camp, harvest and do educational research on the five-acre site of the old Plummer Camp on Moore Lake Road. LCO issued Resolution 13-34 Requesting a Land Use Permit for Educational Purposes in the 1837 and 1842 Ceded Territory and according to the official minutes of the May 14, 2013 Forestry Committee meeting, the committee voted to authorize Iron County Forester Joe Vairus to work with Corporate Counsel Michael Pope to write the county permit, which was to be one year in length. At the second meeting between LCO and the committee, Pope presented the next draft of the proposed permit with the input from the first meeting, but there were a few issues that still needed work. We are extremely concerned with possible future impacts to Wisconsin’s 2.4 million acres of county forest lands if this type of activity is allowed to continue. Signed by President Elroy Zemke and ED Jane Severt of the quasi-governmental non-profit, the letter was not sent to the tribes. “Sen. Bob Jauch had a copy, the Milwaukee Journal Sentinel had a copy, 16 people received copies of the letter,” DeMain said, “but not a single tribal attorney, tribal council member, or anyone representing the tribe anywhere in the state of Wisconsin received it.” The document claimed HELP was illegal and urged Iron County to enforce the ordinances. In response, on July 16, LCO Chair Mic Isham sent a letter to Iron County Board Chair Joe Pinardi and Forest and Parks Committee Chair Tom Thompson asking for a meeting with the full board to discuss the permitting process. 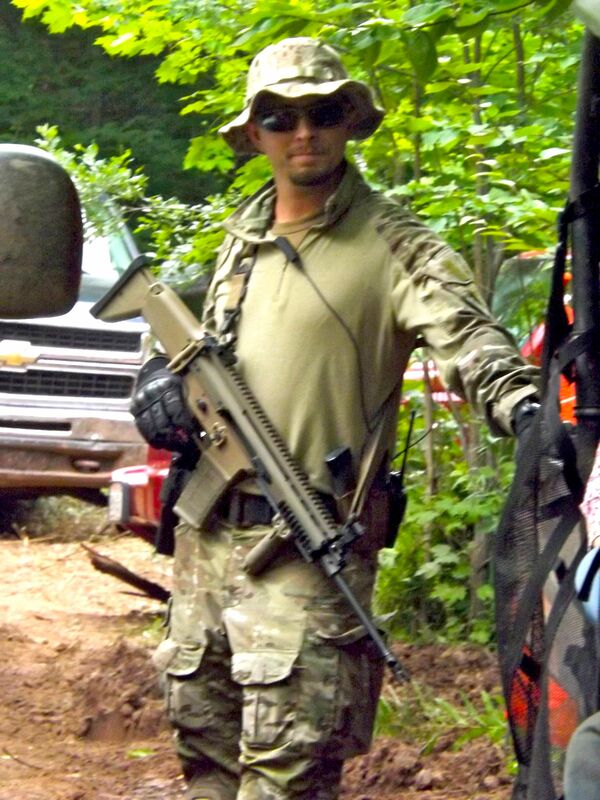 Based on the WCFA letter and what Vairus later revealed was pressure from the DNR, on July 23, the Forestry Committee abruptly recommended criminal and civil charges be brought against HELP for allegedly violating county ordinances and provisions of state County Forest Law. At the July 30 Iron County Board meeting, HELP supporters packed the courthouse and the Board voted not to press charges, but instead sent the issue back into committee. As with prior issues that have arisen on many county forests enrolled in the County Forest Law program, including Iron County, the Department takes a measured approach to achieving compliance with the County Forest Law program, letting the counties themselves attempt to achieve compliance with the letter and the spirit of the County Forest law prior to utilizing the enforcement mechanisms available to the Department under Wis. Stat. s.28.11. LCO and the Forestry Committee met again to discuss the parameters of the permit. 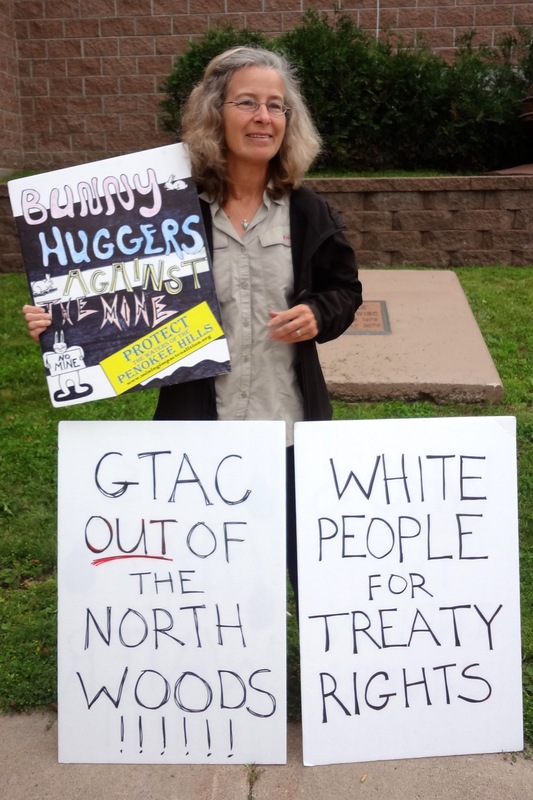 Eventually LCO Chair Mic Isham notified the committee that the proposed 14-day “Large Gathering Permit” did not comply with the needs of the tribe and informed them that he intended to begin the drafting of the Scientific Research Permit, as authorized by the tribe. In related news, at a FEMA Emergency Management training in Madison Tuesday, December 10, Capitol Police Captain Todd Kuschel told participants that he traveled to Iron County on Monday, December 9, to work with local law enforcement in setting up a command post to deal with possible protests. Kuschel was Sue Riseling’s second in command for many years on the UW-Madison Police force and managed the UW Police response to drunken football crowds before joining the Capitol Police force in 2011. He formerly worked for consulting firm Halcrow CH2M HILL, a private security firm specializing in security and emergency management. A request for comment from the Iron County Sheriff Tony Furyk was not immediately answered. *You shall be a part of and sit with the land, to be in the presence of aki, the earth in order to seek knowledge through the careful, continuous, and pondering thought and reflection in collaboration of the heart and mind. July 30, 2013 Iron County Board refuses to convict LCO, sends issue back to committee. This is an excellent article by Barbara With, which I recommend to all who seek further understanding of this matter. The various Wisconsin Ojibwa bands are within their rights to demand ly impacted by it.unlimited access to this property for purposes of scientific research. If the Iron County Board of Supervisors does not comply with this request, I hope that subsequent litigation imposes compliance upon them. This is a matter that concerns all people of Wisconsin. This is an excellent article by Barbara With, which I recommend to all who seek further understanding of this matter. The various Wisconsin Ojibwa bands are within their rights to demand unlimited access to this property for purposes of scientific research. If the Iron County Board of Supervisors does not comply with this request, I hope that subsequent litigation imposes compliance upon them. This is a matter that concerns all people of Wisconsin. Reblogged this on Occupy Harrisonburg.